Gotz Mia the Unicorn dolls is a special Winter 2018 edition in the Just Like Me range of dolls. Mia the Unicorn is 27cm in height and qualifies as a size XS in Gotz clothes. Gotz Mia the Unicorn has white blonde hair, which is long, soft and fun to style. 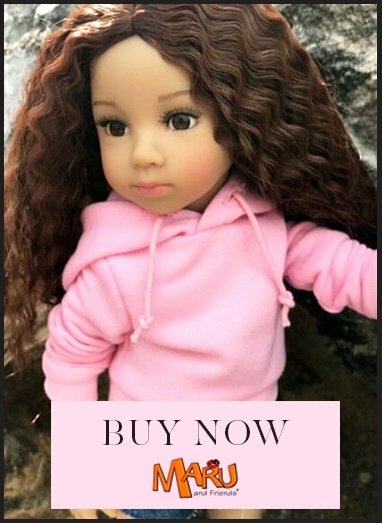 Gotz Just Like Me dolls are 27cm fully vinyl, stand unaided and have cute friendly faces with closing eyes, long eyelashes and long rooted hair - which is perfect for styling. Their heads turn from side to side and there are fashionable clothes for them to wear. These dolls make perfect early companions, and great little sisters for some of the taller dolls. These dolls are safety tested for children from age 3.